Thanks to Erin over at RE-AMP for the heads-up on this great piece of news: Eight major utilities have agreed to implement energy efficiency measures in order to meet the growing demand for electricity. By emphasizing efficiency over coal, they will cut carbon dioxide (CO2) emissions by 30 million tons - the equivalent of taking almost 6 million cars off the road - and avoid the need to build 50 500-megawatt peaking power plants. The utilities involved have more than 20 million customers and cover 22 states: Con Edison (ED), Edison International (EIX), Great Plains Energy (GXP), Duke Energy (DUK), Pepco Holdings (POM), PNM Resources (PNM), Sierra Pacific Resources (SRP), and Xcel Energy (XEL). Up until now, the only utilities that want to grow profits through energy efficiency investments have been in California. The move by these utilities comes at a time when demand is growing, concerns and lawsuits about emissions abound, and global warming is a hot political and business issue. Boost investments in energy efficiency projects to $1.5 billion per year in the next 10 years. Create a national institute for electric efficiency. The Energy Efficiency Institute will work on regulatory policy models, notably how utilities can make money when customers use less energy rather than more. It will be formed within the Edison Electric Institute, which represents the nation’s investor-owned utilities. Innovation and multi-party collaboration will be needed to craft policies that allow companies to profit from investing in efficiency. Utilities could profit from replacing inefficient air conditioners and light bulbs, for instance. Great Plains hopes to get legislation passed in Kansas and Missouri that would allow them to earn a higher return on efficiency investments than what would be made investing in traditional power plants. 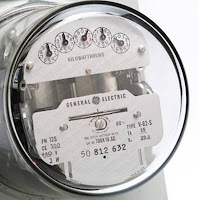 The utility could install smart electricity meters that tell customers when electricity prices are highest and even allows the utility to adjust the operations of appliances in customer homes. Michael Chesser, Chairman and CEO of Great Plains, said that energy efficiency, “with the right incentives,” could take care of all the growth in electricity demand between 2010 and 2017. The utilities are working in partnership with the Clinton Global Initiative, backed by former President Bill Clinton’s foundation. In Southern California one of the bye-laws of the majority of property developments built in the last 20 years is that clothes must not be hung out to dry outside. If California changed this to allow residents to simply dry clothes outside it would have a massive impact on Southern California's energy consumption. Weee - Great example of something small but makes energy use much more efficient. Lame law.